You also might find a “blitz effect” occurring. The people for reasons real or imagined take issue with having an outside actor destroy their country and band together (and I’d say China as a nation is probably far more inclined for this than most Western nations were at the start of WW2) with an increased sense of national will. Also considering the massive number of civilian casulties, we dang well better be sure we win, else we’ll be standing in the dock at a war crimes trial. This is the reason I’m not punching coordinates into the Tomahawk console. I don’t think a highly localized disruption of power is enough to destabilize the government, but I do think it would become a galvanizing element for the population as a whole. This is the reason I’m not punching coordinates into the Tomahawk console. Both are main reasons why officers in the US Armed Forces specifically do not swear to follow the orders of the President and the officers appointed above us. We are expected not to carry out illegal orders. It is also why we take great care in avoiding collateral damage during the targeting process. From a Naval War College perspective, I think the “Shanghai Economic Take Down” strategy would have gotten an A for originality, and an F for practically (and legality). IN A FIRST OF ITS KIND EXERCISE, ROBOTS HAVE BEEN USED TO BREACH DEFENCES IN A JOINT DRILL BY US AND BRITISH FORCES. ANDY TUNNICLIFFE EXPLORES THE SIGNIFICANCE OF A MILESTONE DESCRIBED BY A SENIOR LIEUTENANT AS A “GREAT STEP FORWARD FOR THE ARMY, AND FOR ROBOTICS”. um…can you say, “The Rise of the Machines”?! I have such a low opinion of humanity at the moment I have stopped resisting. (Futile anyway.) I say, “love thy robot!” Let them take over. Give them all means of production and protection. Leave humans to the task of procreation until we are no longer needed. Oh, how good it feels to give in! I have such a low opinion of humanity at the moment I have stopped resisting. I just got gifted this on steam by my brother in law and I’ve done a few of the tutorials so far. Where has this been all my life. It looks completely impenetrable on startup but from the air strike tutorials so far it’s actually a fairly easy UI to get to grips with and the depth of the thing is incredible. I am really enjoying it. Its fascinating. Just reading the index pages is amazing reading! It is great isn’t it. I haven’t got that far yet but it’s on my to do list for tommorow. I like the idea of thaybas I guess it could get a little samey. It’s a great sim. Dry as bones but if you know how to read it, it has all the stories to tell. Where has this been all my life. It looks completely impenetrable on startup but from the air strike tutorials so far it’s actually a fairly easy UI to get to grips with and the depth of the thing is incredible. Out of curiosity, which “at a glance” observation gave you the impression that it would be a hard game to get into? Hi @Dimitris please don’t take what I said the wrong way. I may have worded it wrong but what I meant was it looks like a lot of windows and spreadsheets but it is actually quite easy to navigate and find what you are looking for. I think it’s just the way the simulation is set out with little in the way of colour and unnecessary graphics gives a look of very a serious piece of software as opposed to a ‘game’ but once you load up a tutorial it very quickly becomes apparent that it is not what it seems. I particularly like the top toolbar which has all of the key shortcuts etc right in front of you so you don’t NEED to remember them. The tutorials are excellent as well. Very Informative without being overwhelming and extremely satisfying to complete. I’m half way through them at the moment and enjoying the experience very much. Again please dont take my previous comments as criticism It really wasn’t intended as such. 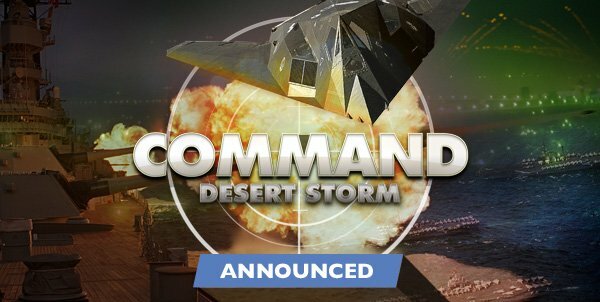 I assume you are a developer of CMANO? if so thanks! Worth every penny! As an aside I got Northern inferno with it. I haven’t really looked at it yet but I assume I’m doing them the right way round and not missing out by doing the CMANO tutorials/game first? Thank you for your very kind words (yes, I am one of the CMANO devs). There was absolutely no misunderstanding and no offense taken. What I meant was that what you mentioned, that at first glance the game looked hard to get into, is something we’ve often heard from other newcomers as well. Sometimes the player overcomes the initial impression and enjoys the game, as you did. Other times that negative/puzzling first impression is enough to drive people away. This is not just a lost customer for us but, more importantly, a loss to the CMANO community as a whole (many of our community stars had the same initial impression as you). This is why we are constantly trying to understand what may (for lack of a better term) “rub people off the wrong way” when they are first exposed to CMANO, and improve what we can. We realize we’re unlikely to ever have the “wow” polish of triple-A productions, but every little thing helps. No worries at all! I think you have a fantastic product and wish you all the best for it and your future productions. Maybe if the tutorials were a bit more prominent on the main menu it would look like helping new players was first and foremost but I think thats such a picky point as to not be worth worrying about and let’s be honest it’s not like there is a lack of tutorials there! Excellent! Hadn’t seen this announcement. Will definitely be getting this. Still having a blast with CMANO. I’m certainly no star player at it but it’s great gaming. I’ve learned a lot about naval engagements through this and oddly enough it encouraged me to finally read ‘red storm rising’ and I’m now on ‘SSN’ after having no great interest in naval warfare other than ‘oooh pretty ship’ it’s opened another cool area of fascinating history for me. No ok, I’ve resisted everything so far but I’m buying this and all the rest be damned. @MBot offered a really nice in-depth AAR as well.